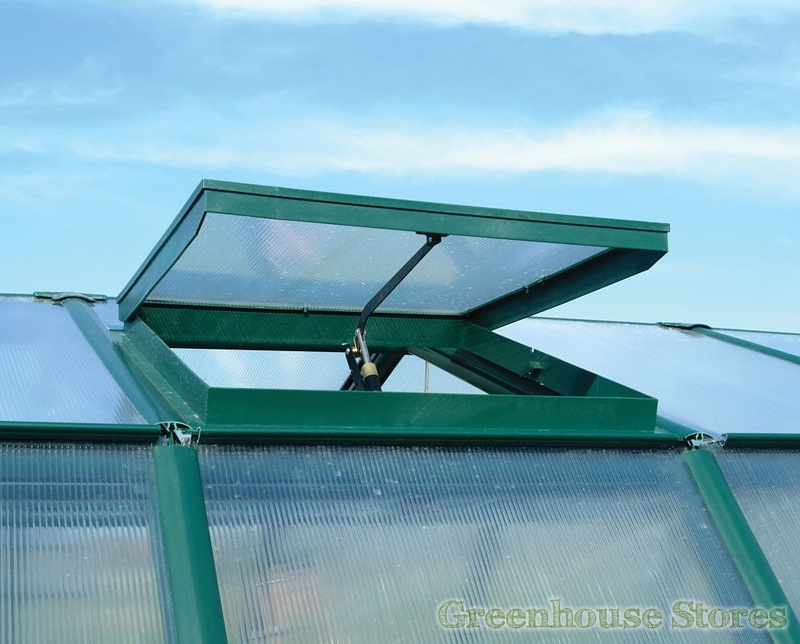 The Rion Eco Grow Greenhouse is tough and ideal for the UK’s often blustery wet weather. 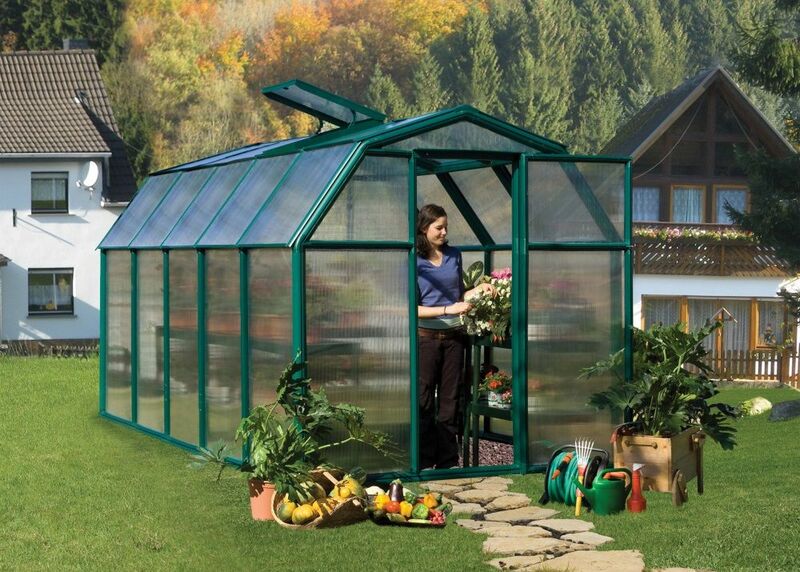 The Eco Grow is perfect for family gardens or allotment use as it’s polycarbonate glazing won’t shatter. 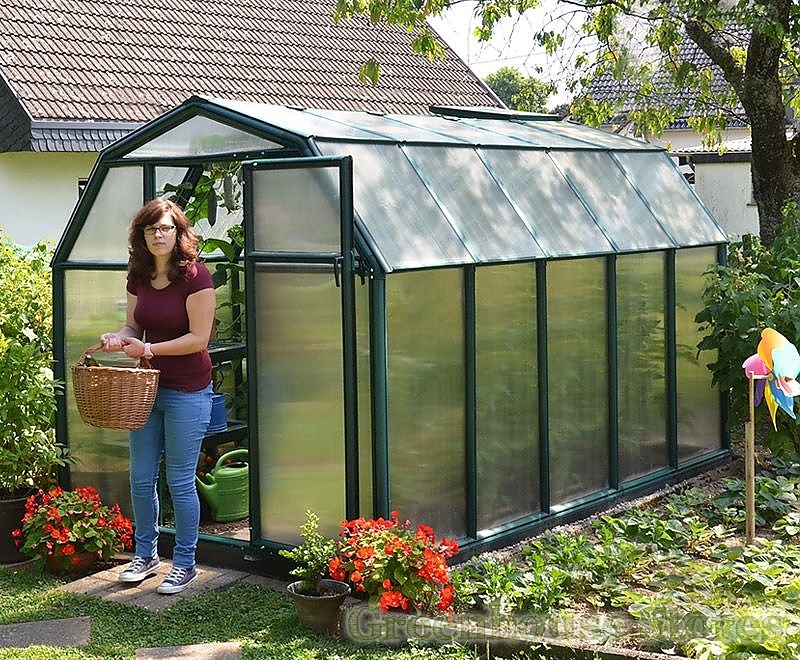 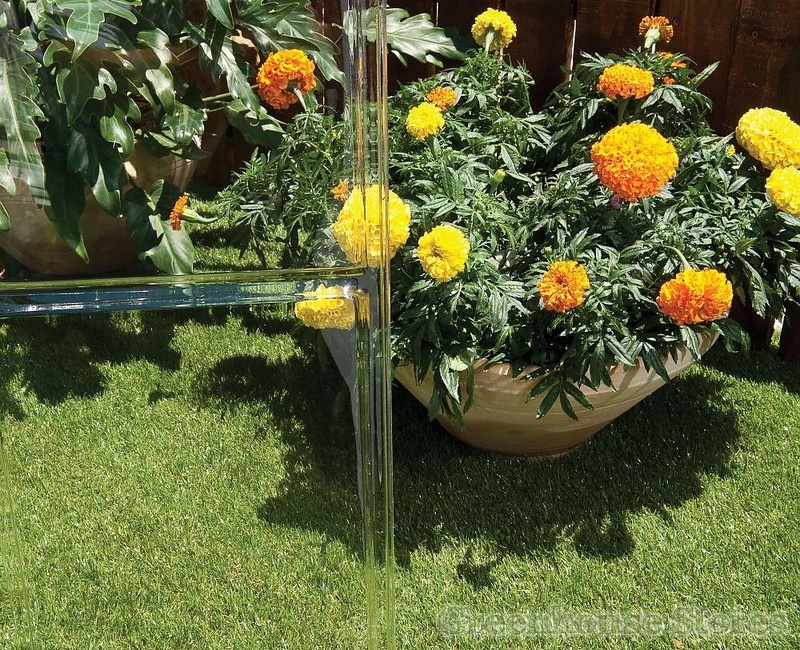 The Eco Grow 6ft x 10ft Greenhouse is made from poly resin which won’t bend or discolour like aluminium. 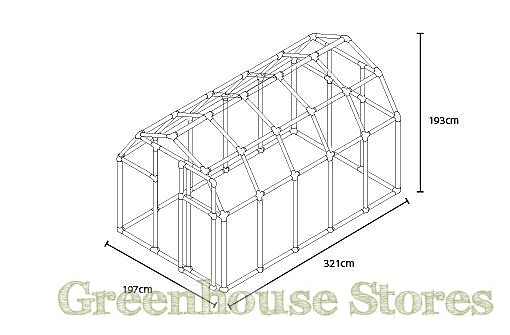 Complete with it’s 4mm polycarbonate glazing this greenhouse weighs in at 185 lb’s making it a good sturdy weight which will help it to survive harsh wind and snowy conditions. 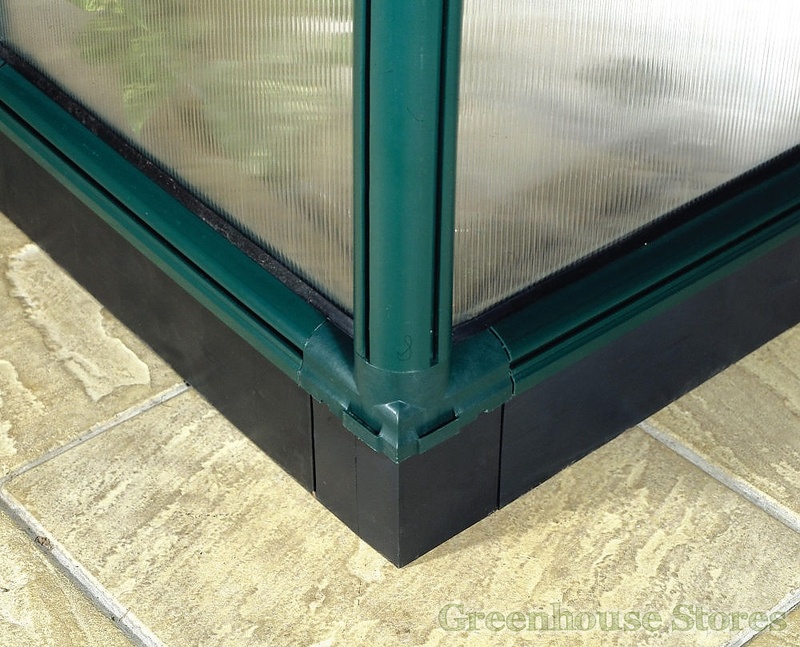 The Eco Grow 6 x 10 has a single opening roof vent and an outward opening door with locking latch. 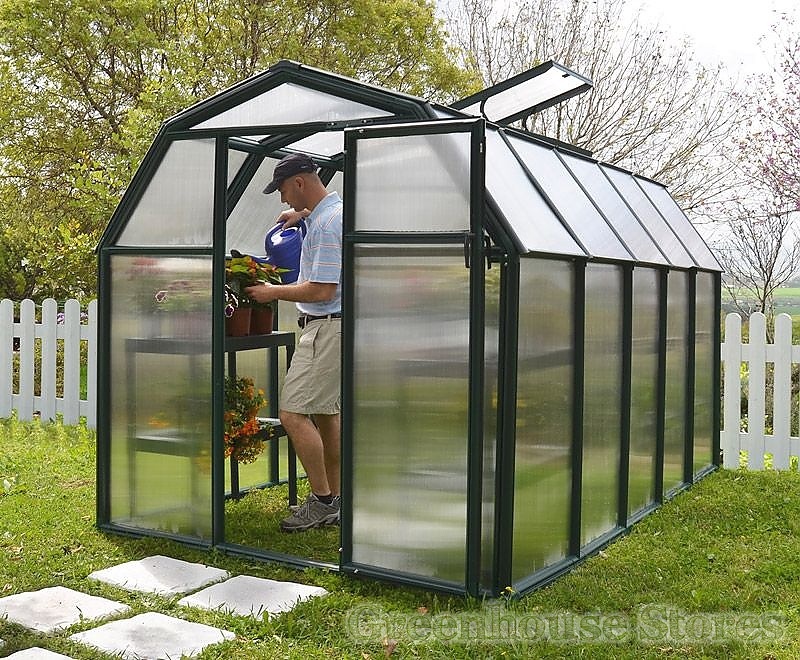 Rion greenhouses are very easy to assemble as they use a unique snap-together system making it easy to do-it-yourself.